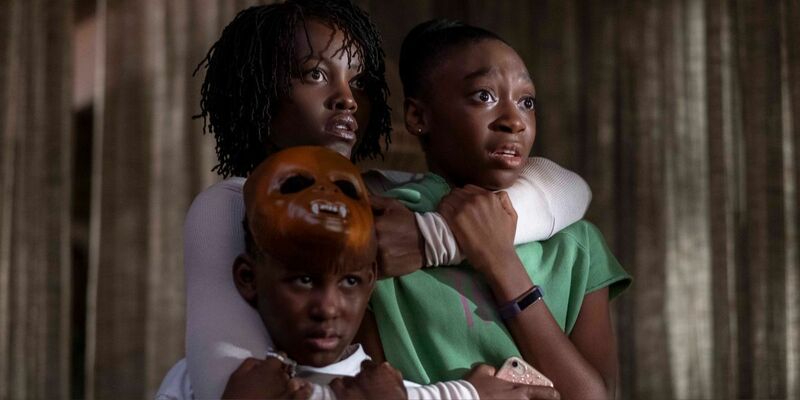 With Us, Jordan Peele delivers a competent horror film starring a must-see performance from Lupita Nyong’o. 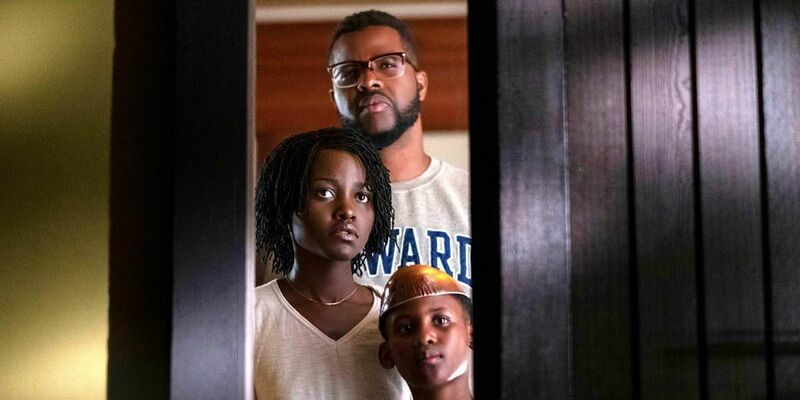 In 2017, Jordan Peele’s debut feature film took the world by storm. Get Out was a critical and commercial success, grossing more than $175 million at the domestic box office and earning four Oscar nominations. It became one of the year’s must see and most talked about movies. The film’s blend of horror and comedy genres combined with its sharp critique of racial politics in the United States gave it a unique edge that emphasized the arrival of a new voice in American cinema. How exactly do you follow a movie that captured the zeitgeist in such a rare and unique way? If you’re Jordan Peele, you don’t waste any time. Two short years after Get Out opened in theaters, the Oscar nominated director is back with a new film that will undoubtedly inspire nightmares in the minds of audiences everywhere. This review contains light spoilers. In the movie’s cold open, we are introduced to our protagonist, Adelaide. We see her as a young girl spending a night out with her parents at the Santa Cruz boardwalk. A slow and steady camera follows her as she wanders off on her own into a house of mirrors where she comes face to face with her own doppelgänger. After this terrifying moment, the movie picks up a few decades later. Adelaide, played by Lupita Nyong’o, is now married with two kids and has returned to Santa Cruz for a vacation with her family. Despite her family’s enthusiasm, she cannot shake a familiar, threatening feeling. That feeling is proven correct when a family of doppelgängers begins to terrorize their home in the middle of the night. The narrative arc of Us takes shape around Adelaide’s family’s fight for survival against the monstrous doppelgängers that threaten their lives. The film’s build up to the reveal of the family’s doubles is sublime, offering an assured balance of levity and tension. The build up culminates in a terrifying home invasion and later devolves into madness. The idea of facing off against one’s identical double is a perfect source of conflict for a horror movie and Peele runs with it. The best sequences in the film are those where the characters are forced to reckon with their own doppelgänger and survive being killed at their hands. The initial home invasion followed by the group’s splintering is perfectly orchestrated and yields some thrilling payoffs. The film’s most obvious and frustrating failing is that it spends far too much time giving itself away. Like Get Out, there’s a hidden conceit that is slowly revealed over the course of the movie that helps inform and explain what’s happening. Unfortunately, in revealing that central conceit, the movie raises more questions than it answers. In doing so, it undermines the very tension that makes the movie genuinely scary in the first place. Rather than allow the audience to put the pieces together themselves, the film falls back on some pretty lazy exposition that turns otherwise terrifying moments into unnecessarily dumps of information. In the second half of the film, as Peele widens the narrative scope of the story, a tonal dissonance arises between the incredulous nature of the plot and the overly serious and dour tone of the story. It’s natural to suspend disbelief for movies, especially ambitious ones, but Us pushes its limits a bit too far and feels weaker as a result. As a horror movie, Us demonstrates an interest in both maintaining genre conventions and pushing boundaries at the same time. Moreover, Peele as a filmmaker has shown a continued interest in blending genre and infusing his horror films with comedy. All of this genre-fusion and tonal blending simply doesn’t fully coalesce, so the final result is entertaining but uneven. However, Peele is an undeniably strong visual stylist that has no problem creating images that articulate mood, atmosphere, and theme with a keen precision. This is another reason why the film’s tailspin into exposition feels so unnecessary; if a director can communicate as well as Peele can with his camera, he needn’t do it so much on the page. Ultimately, Us is the kind of movie that is best enjoyed by not thinking too much about it. It offers a unique sort of nightmare, like an extended Twilight Zone episode, that you can wake yourself up from at any moment because this couldn’t possibly be real! There’s such a wealth of talent and skill involved in the movie that one can more readily accept its weaknesses in order to enjoy the gifts it offers; from Winston Duke’s huge thighs to the refreshingly realistic depiction of sibling dynamics to Elisabeth Moss’s perfect balance of comedy and terror to the pitch perfect soundtrack, Us has something for everybody. Lupita Nyong’o’s performance in particular deserves special attention. In the years following her breakthrough and Oscar winning performance in Steve McQueen’s 12 Years a Slave, Lupita has appeared mostly in family-friendly projects like the Star Wars franchise, Queen of Katwe, and Black Panther. In Us, Nyong’o flexes her acting chops in a way we’ve not seen in years. Her screen presence is a sight to behold, demonstrating a keen talent for versatility and vulnerability, confidently elevating the material to a level other performers might have balked at. She carries so much of the movie yet does so with grace and ease. It’s the kind of performance that will bring audiences back for a second viewing because there’s so much to be seen and discovered through what she does with her role. If Us sounds like your kind of movie then I recommend you make your way to the theater pronto. I make this recommendation, not because Us demands to be seen in a theater, but because it’s a film that deserves to be seen with an audience. The horror genre has always been well-suited to the advantages found in the communal atmosphere of the movie theater and Us thrives on it; it encourages the audience to gasp and groan in unison, to shout at the screen and grab the arm of the person sitting next to them. Don’t miss out on a unique experience to see a thrilling horror film in the company of an eager crowd. After all, Us is a movie about community, so why not see it with yours?